Scott Belsky is the latest in our series of #FollowFriday posts of people who inspire us in our work here at Caledon Virtual. Caledon Virtual is a different kind of agency. We’ve talked about it in depth before, but essentially, we like to make ourselves as nimble and flexible as possible to adapt to our client’s needs. There are not a plethora of agencies like us out there, and for good reason. It just doesn’t work for everyone. 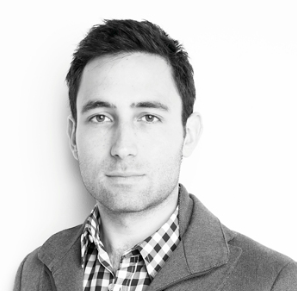 One man who helped to shape our virtual agency model, and has guided us as we’ve evolved is Scott Belsky. His book, The 99 Percent, is all about how to take an idea and turn it into reality. Because, and be honest, ideas that just stay ideas aren’t worth anything. Ideas that can be turned into reality can change the world, increase your businesses revenue, or just make things easier in day-to-day life. The insights Belsky brings help us to remember that while ideas are awesome, they must be brought to fruition to complete the process. It’s why we’re constantly evolving Caledon Virtual. What worked yesterday won’t necessarily work in the future. How do you evolve your ideas?